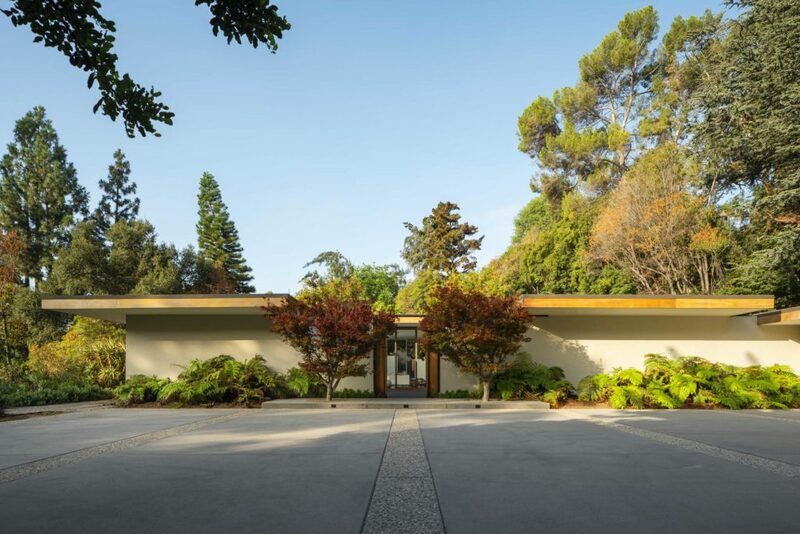 Kelsey House (1962), named a Pasadena Historic Landmark in 2005, is a classic nine-square Italian villa plan designed to accommodate John Kelsey’s family of five as well as house the young family’s emerging art collection. In this plan, there is classic rigor in the symmetry and formalism of the house, yet a modern interpretation of the villa. 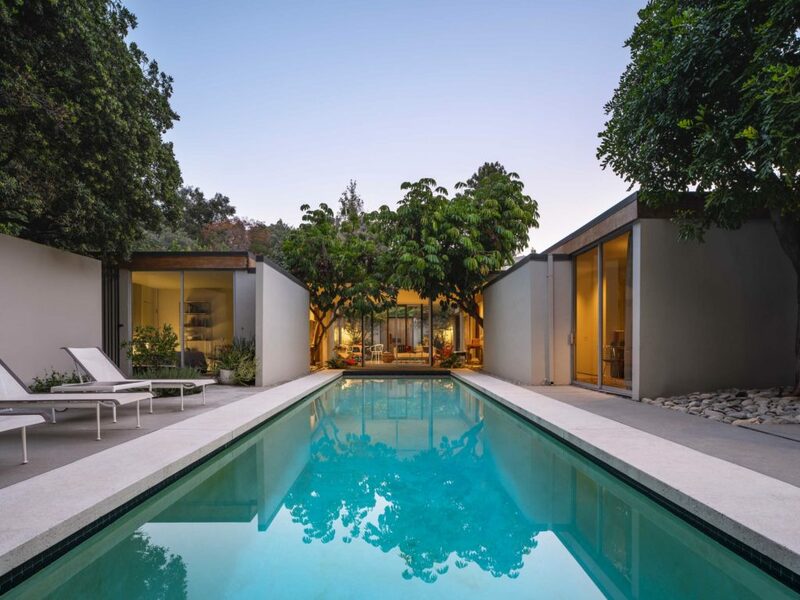 Private to the street, the house is entered via oversized teak doors, leading to an open-air octavium (courtyard) that you cross to enter a glass-enclosed atrium. This unites the indoors with the outdoors. Finally, one exits the other side of the atrium to the impluvium (swimming pool) that almost enters the home. Yet, while private to the street, each room enthusiastically opens to embrace the light and landscape through eleven sliding doors that serve as both doors and windows. Kelsey choreographed the landscaping outside to create one integrated experience, bringing a modern California sensibility to the entire design. In the Kelsey House, Kelsey foreshadowed his long-term interest in the organic, curvilinear form. Set within the house’s modern nine-square plan is a surprisingly, yet seamless, classical round, teak-paneled dining room that is a pure homage to the dining room of Mies Van der Rohe’s Tugendhat House. Its rounded form with organic curvilinear niches at each bilateral axis connects this new geometry to the house’s rectangular plan. Future Ladd & Kelsey projects would continue to explore and implement to great effect the organic curvilinear form, most notably the Pasadena Art Museum, as well as Herrick Chapel, First Methodist Church and Busch Gardens.